The goal of our art education program is to educate the students in the making, the appreciation and the relevancy of art. Our art program starts in Kindergarten and continues through the fifth grade, exposing our children to a wide variety of mediums and allowing them to explore and create with a range of art materials. They study form and learn about artists and their lives through art history. They acquire skills in drawing, painting, printing, pottery, color and design. Most importantly, they are encouraged to be individuals and to seek out the artistic media that inspire them. In addition, the students enjoy periodic visits from local artists who share their methodologies and philosophies about their work with the children. 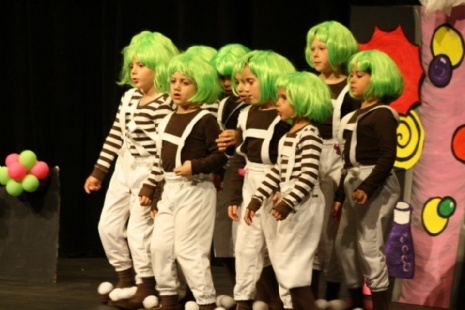 Music and Drama are integral aspects of the KJDS curriculum, teaching the children valuable skills through fun and disciplined activities. Students learn about music from different time periods and geographies of the world. Specifically, KJDS utilizes the MIE, Music In Education, system. MIE uses a classroom of state-of-the-art keyboards as the learning interface. In addition to singing, moving and discussing music students are now able to play and compose. The curriculum is concept-based, teaching the same musical concepts (note reading, melody, harmony, rhythm, form, texture etc) as would normally be taught in general music programs. In Drama class, students learn to be in control of their movement, expression, and voice. They learn how to follow the director’s instructions, and work together on all aspects of a production. Bi-annual performances give the children an opportunity to put all they’ve learned in class into action.